I know far too many people right now who are struggling with burnout or who’ve recently come out of a season of feeling depleted – physically, mentally, and emotionally. I see how this is affecting their personal lives, the lives of their families, and their performance at work. The topic of avoiding burnout is on my heart to address as encouraging my chiropractic patients at my downtown Ottawa clinic to steward all areas of their health is extremely important to me. How can you prevent getting to a place of feeling overwhelmed and how can you pull yourself out of a place of burnout if you are there already? You may be doing too much. Oftentimes we fill our schedules out of guilt. I SHOULD volunteer. I SHOULD host the family holiday meal. I SHOULD enroll my children in every activity their friends are in. I SHOULD help my friends whenever they ask me to. It’s time to clear those things out of your life and off your schedule if they don’t truly speak to you and the life you know is authentic for you at this time. What comes to mind as you read this? Focus on the things in your life that only YOU can do. Leave the rest for others or allow yourself to decide that some things are just not worth doing at all (right now or ever!) Learn to set clear boundaries. 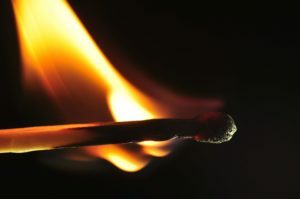 Be very sobered by the reality that once you cross the burnout threshold, it may take years to regain anything resembling your former bandwidth. Take your boundaries seriously! Are you taking care of yourself in all aspects of your life and health? In a previous blog, I wrote about five areas in life you must consider when setting goals and some practical tips to address each area for your best life possible. Take a moment to review those and see where you can improve. Be diligent in pursuing a life of balance. Psychologist Martin Seligman introduced the theory of learned helplessness whereby people basically just give up when overwhelmed by a negative circumstance because they feel powerless to change it, ultimately leading to depression. Acknowledging this may be your situation is the first step to seeking help. It is ok to ask for help. It isn’t a sign of weakness but rather a sign of wisdom and maturity to acknowledge that you aren’t an expert in everything. You’ll be amazed at the resources available to you once you become open to them. We are designed to live this life in relationship with others. Friends, family, and caring, resourceful professionals are all just a phone call away. So when is the best time to reach out to others for help? Long before your levels of stress reach the stage of overwhelming distress. Burnout is avoidable. Set clear boundaries in your life, pursue balance, and reach out to those around you for help and support on a regular basis.